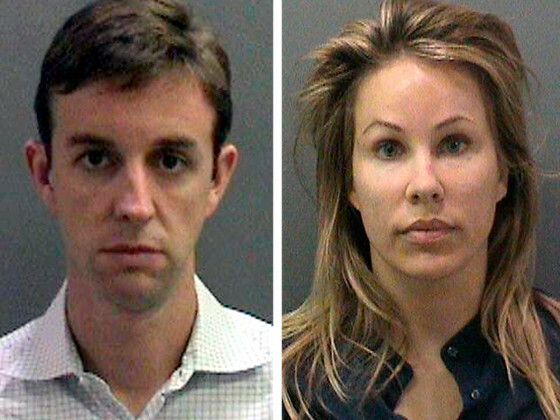 A former Irvine attorney convicted of planting drugs in the car of a PTA volunteer has been disbarred. The California State Bar has announced that because of his felony conviction and “moral turpitude,” Kent Easter, 43, can no longer practice law in the state. The State Bar’s recommendation to disbar him was approved by the California Supreme Court, records show. In a case that drew national headlines, Kent Easter and his then-wife, Jill Easter, in February 2011 were accused of planting bags of marijuana, Vicodin and Percocet in the car of Kelli Peters, a school volunteer at Plaza Vista School in Irvine who the couple wrongly believed had mistreated their son. Kent Easter and Jill Easter – who now goes by Ava Everheart – were both convicted of false imprisonment in separate criminal trials, and were ordered by a jury to pay Peters $5.7 million following a civil trial. He was convicted and served 76 days in jail, while Jill Easter pleaded guilty and was sentenced to 120. Both had to do community service as well. Kent Easter maintained his innocence during his criminal trial and a subsequent deposition. However, during his civil trial, Kent Easter, who acted as his own attorney, did admit to calling in a false police report about Peters. During the civil trial, Peters testified that a year before the planting of the drugs, she had her first run-in with Jill Easter, who was upset that her six-year old wasn’t waiting for her at an after-school program where Peters volunteered. Peters said she told Jill Easter that her son may have been “slow to line up,” a comment Peters believed that Easter mistook as an insult against her son’s intelligence. During his sentencing, Orange County Superior Court Judge Thomas Goethals said the “sky was the limit” for Kent Easter, a Stanford-educated attorney at a top law firm in Irvine who ruined his career over what the judge described as a bizarre and baffling crime. After his ex-wife planted the drugs, Kent Easter eventually said, he called police and made a false report against Peters under a fake name. Police exonerated Peters after finding Kent Easter’s DNA on a set of pills and a marijuana pipe found in the car. Peters testified that the drug search, which took place in the parking lot of the school, left her humiliated, caused her daughter to lose friends and have trouble sleeping and led to her husband suffering panic attacks. Kent Easter could not be reached Tuesday for comment. Jill Easter was previously disbarred in 2014, according to the State Bar. Although she pleaded guilty, when pressed in the civil trial she said she did not plant the drugs.